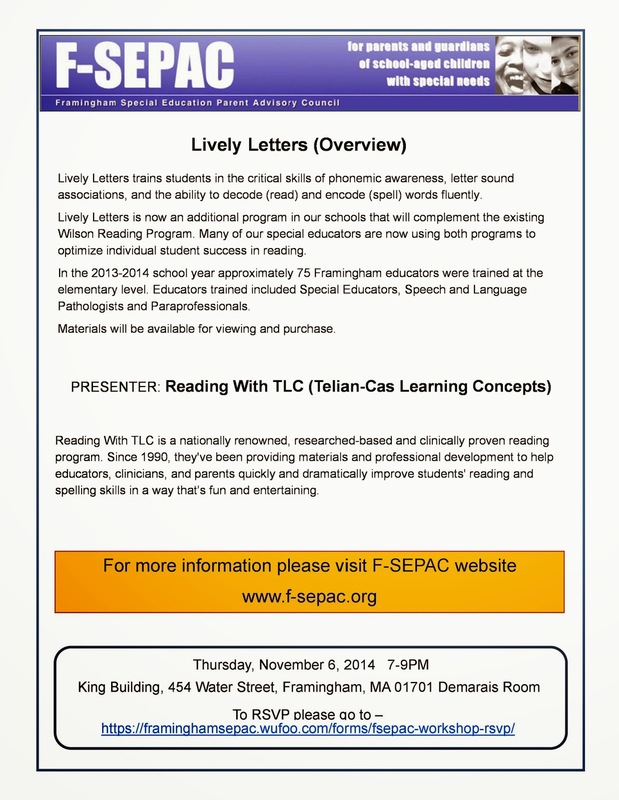 "Lively Letters" is an evidence-based reading program recently introduced into the Framingham Public Schools as a complement to their established Wilson Reading program; some 75 educators there have already received training at the elementary level. Lively Letters trains students in the critical skills of phonemic awareness, letter sound associations, and the ability to decode (read) and encode (spell) words fluently. Attend this free workshop to learn more about the program and how you can participate at home in the process of teaching your child to read. Materials will be available to purchase. Look HERE for more information. RSVP HERE.